DOHA, Qatar—Sounds of excited children beam out of the Qatar Museums Gallery in the Katara cultural village here, as young visitors try their hand at skateboarding on a ramp inside the gallery space. 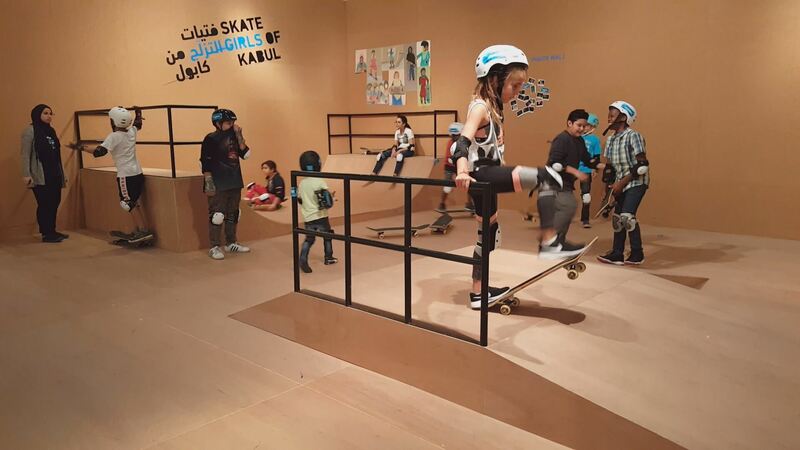 The specially built ramp is part of a photography exhibition, “Skate Girls of Kabul,” that presents the story of Afghan girls for whom skateboarding is a way of achieving more personal freedom in their country’s conservative society. The exhibition highlights a new role for museums in Qatar as educational platforms that provoke conversations and challenge common mind-sets. This ambition is reflective of a broader international trend in which museums are helping educators expand beyond school walls to provide more diverse learning opportunities. 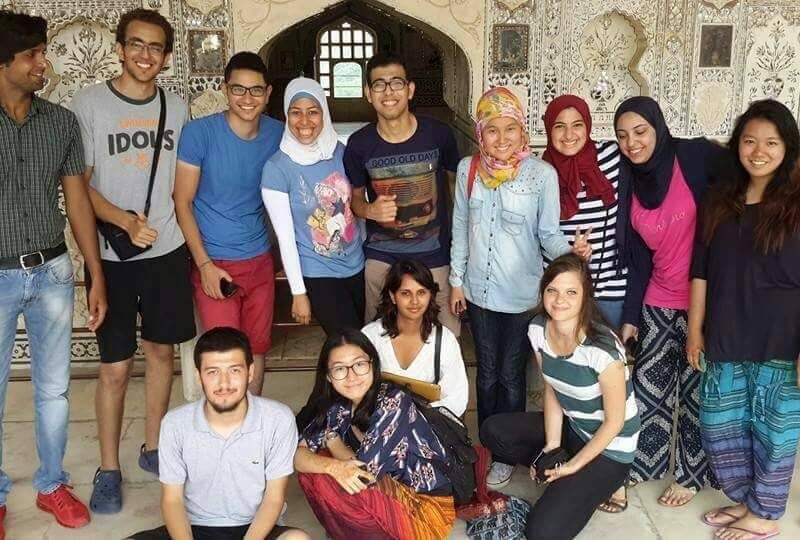 A 2014 paper, “The Educational Value of Field Trips,” published in the journal Education Next, suggests that students who attend a field trip to an art museum experience an increase in critical-thinking abilities, historical empathy and tolerance. The paper’s findings support the role of education as a way to teach broader life skills rather than just transmit information. Today, many international educational institutions focus more on building global awareness, critical thinking, innovation, teamwork and autonomous learning—skills that are missing in many local curricula in the Arab region, where teaching is often still a one-way process. “Museums are in a better position to offer people multiple ways of learning than a classroom formal education. 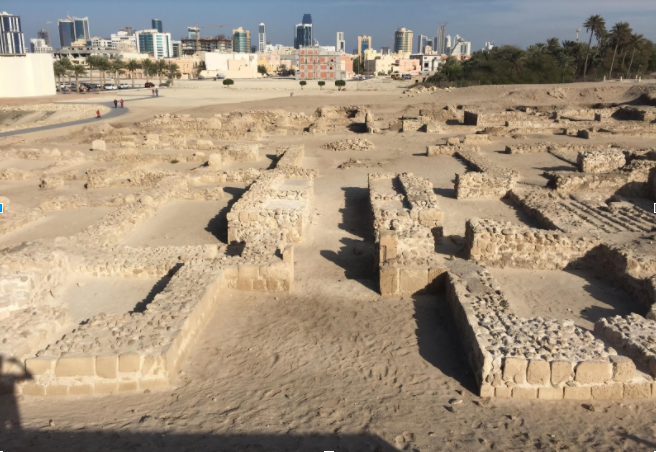 Many museums around the world now teach literacy, creative and critical writing,” said Pamela Erskine-Loftus, director of the Media Majlis at Northwestern University in Qatar. “These are transferable skills that can be useful for all sorts of situations, regardless of what subject you study”. These new skills are often further reinforced at museums with pre- and post-visit kits, that allow teachers to continue the conversation with students back in the classroom. With no right or wrong answer expected from students, museum visits can encourage independent thinking, provide opportunities for inquiry-based learning and encourage group work. “Museums tend to set things up to be discussion-based and not just one person speaking. 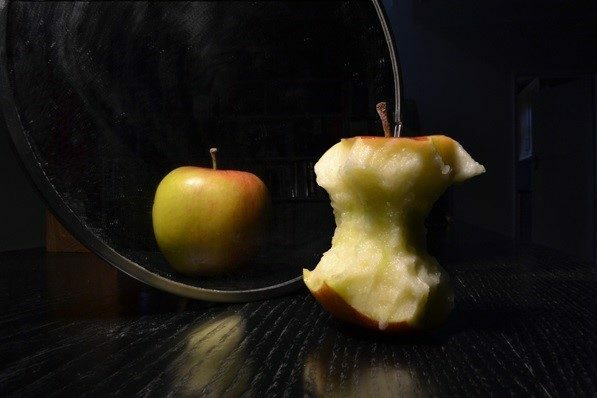 There is a level of being self-directed, which students won’t get often in a classroom,” Erskine-Loftus said. Another feature of museum education is the immersive, multi-sensory nature of the experience. 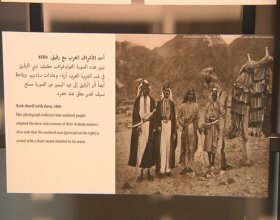 While touching objects is normally not allowed, Qatar’s Mathaf: Arab Museum of Modern Art created replicas of pieces of art that were then left on the floor for visitors to move around and play with. The initiative proved popular among young visitors. Museums in Qatar host regular meetings with educators to explore how to design effective learning experiences. 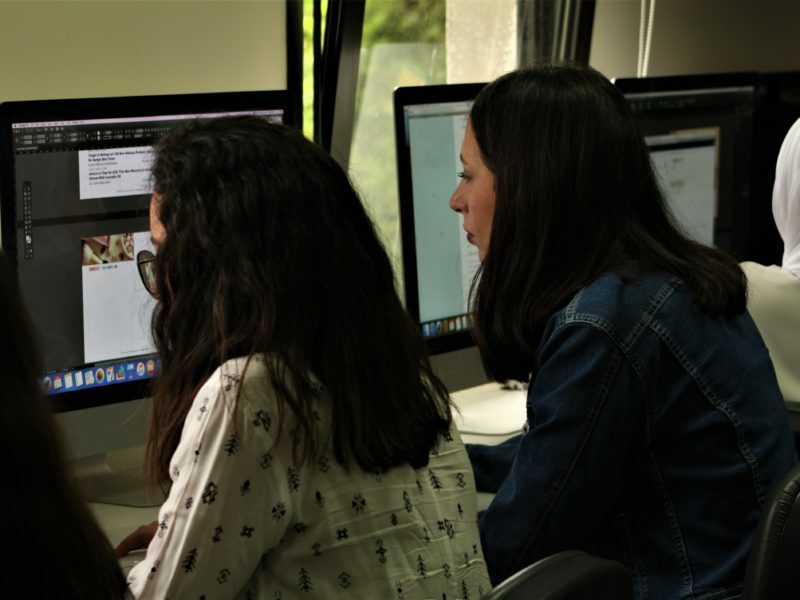 However, museum administrators still need to work with more teachers in developing programs that support classroom work at schools, according to Maral Jule Bedoyan, a former deputy director of learning and outreach at Mathaf. Mariam Ibrahim Al-Mulla, an assistant professor of history at Qatar University, shares that view. Al-Mulla thinks that with the help of academics, museums can design programs to enrich the teaching of any subject, not just art or history. Sometimes, museums act as a safe space where educators can explore controversial or difficult topics. In Qatar, the recently opened Msheireb Museums, for example, reveal new aspects of the country’s cultural and social development. One of the museums uses video, text, maps of slave routes and personal narratives to explore the subject of the Indian Ocean slave trade. The museum also refers to abuses by employers of the job-sponsorship system for foreign workers, and how the system affects a large number of migrant workers in the country—an issue you won’t find in the curriculum of most schools in Qatar. “Msheireb created a space with some information that a teacher can employ to facilitate a discussion where students feel comfortable bringing their ideas and asking questions about difficult topics,” said Erskine-Loftus, of the Media Majlis. Bedoyan thinks constructive conversations provoked by a visit to a museum help students to grasp notions like power, gender and class in a space considered as a trustworthy source of knowledge. Public trust in museums as legitimate holders of objects from the past is a worldwide theme. A study by researchers at Indiana University found that museums are considered a more reliable source of historical information in the United States than books, teachers or even personal accounts by relatives. 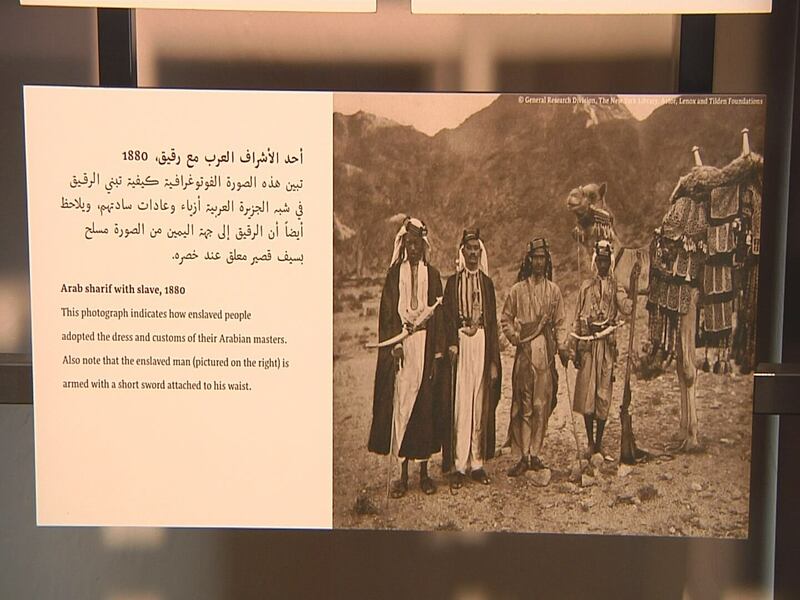 The traditional role of museums in preserving history is of particular importance to Qatar. The country’s rapid urban development wiped away several historical sites and created a generation that is disconnected from the country’s heritage. Al-Mulla believes museums can fill this knowledge gap. But Erskine-Loftus advises against relying on a single institution in any country to improve understanding of history and heritage.